The bounty hunter hired by Darth Vader, infamously known as Boba Fett, personifies two distinct traits: danger and mystery. If you pride yourself on your innate capability to laugh in the face of danger then there's only one handbag that's deserving of your clutches. It's the Boba bag and it would look killer hanging on your arm. The officially licensed bowler purse is spacious enough so all your essentials will easily fit inside. (Yes, even your Blaster Rifle can be carried inside). 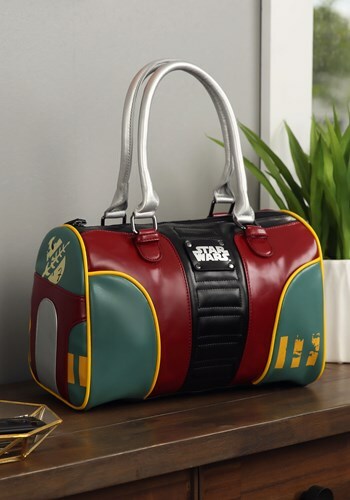 The faux leather shell features embossed details to mimic Boba's intimidating look, so yeah, you're gonna feel pretty intimidating when you're rocking this bag! Star Wars officially licensed, this Boba Fett bag is a fun accessory for fans! 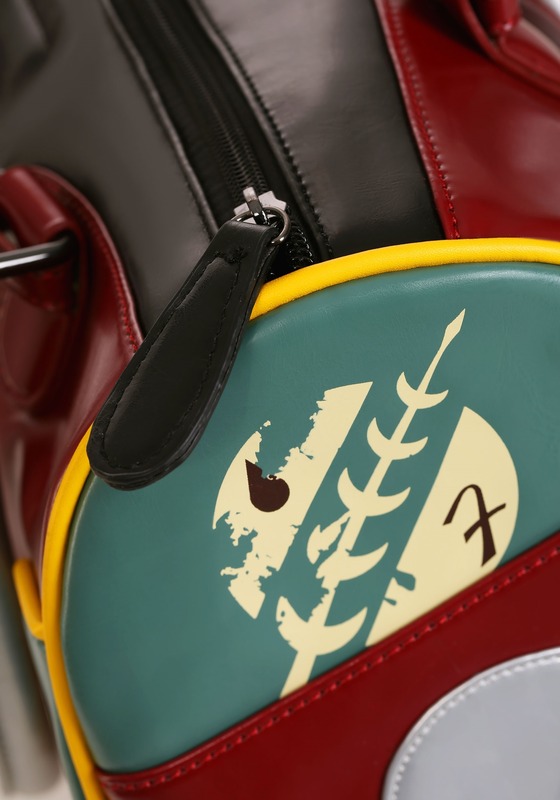 The faux leather shell features a mix of embossed and printed panels. It's made with 90% polyurethane and 10% polyester materials, and it measures about 13 inches long, 7 inches wide, and 9 inches high. It features 2 handles, a top zipper closure, and 2 inner pockets. 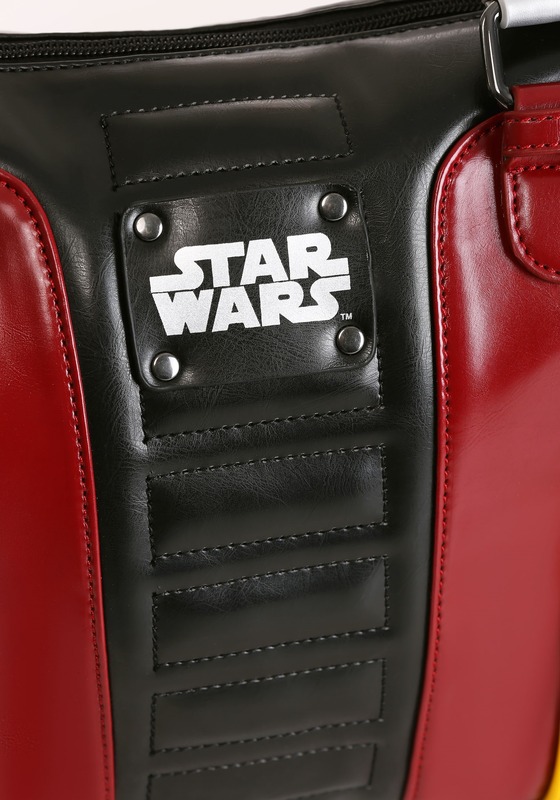 It features an embossed Star Wars logo badge for the perfect finishing touch. 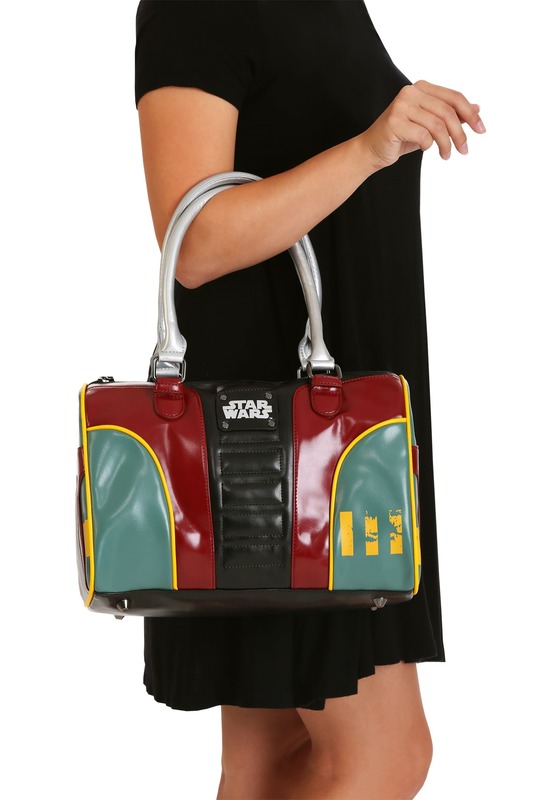 This purse will perfectly complement any Star Wars themed ensemble resulting in a chic Mandalorian appearance. So, it's perfect for a dangerous and mysterious lady, such as yourself!